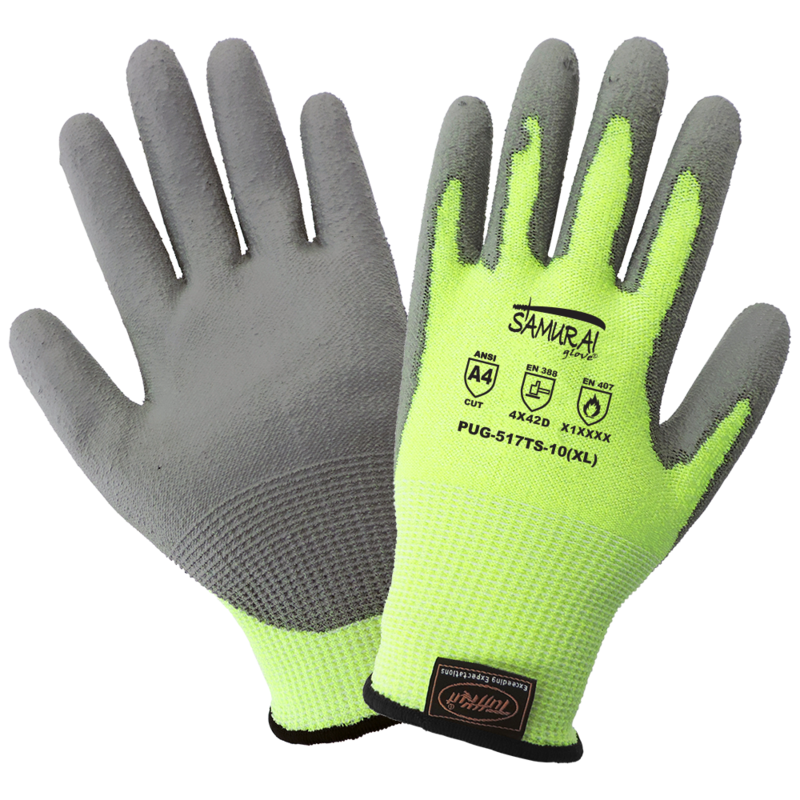 These high-visibility yellow/green colored 13-gauge TuffKut™ gloves are palm dipped with gray polyurethane. They feature three touch screen responsive fingertips. The liner is a revolutionary engineered filament yarn that brings exceptionally high cut resistance as well as heat resistance, incredible dexterity and tactile sensitivity. The dipped palm provides excellent grip, as well as abrasion resistance.